Isn't it exciting about the splash of Northern Lights due to the solar flare this week? Seems like we might be having sightings again tonight (August 5), with the show potentially moving to viewers even farther south in the Northern Hemisphere. Northern Lights, also known as Auroras, occur when ions in the form of solar wind from the sun strike the gases in the upper atmosphere of the earth, causing them to glow. 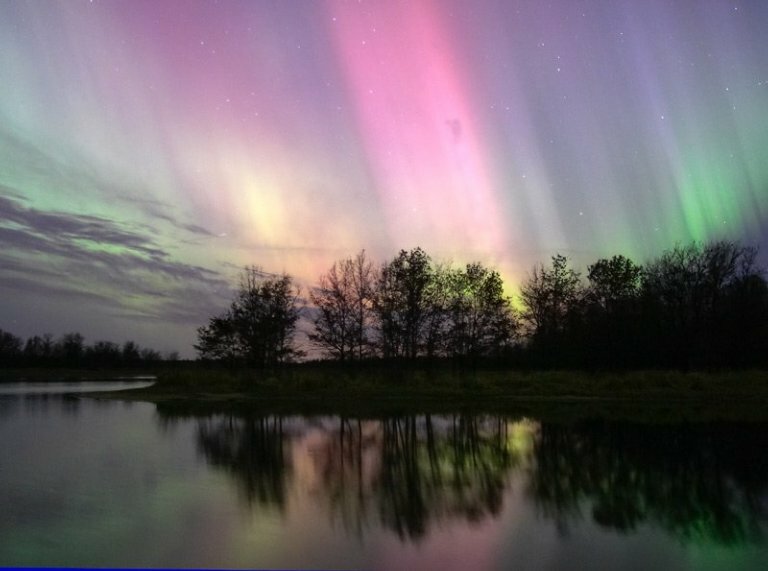 The glow typically occurs around the Arctic Circle, but large flares can cause a glow that can be seen throughout Canada and into the northern United States. Here is a photograph taken in Wisconsin. Spaceweather.com has the newest predictions and archives of photographs. We hear a lot about the Northern Lights. Are there Southern Lights?